Astrocytomas are the most common type of primary brain tumour within the group of brain tumours called gliomas. Primary means they have originated from the brain instead of spreading from elsewhere. About one third of all brain tumours diagnosed in the UK are astrocytomas. They grow from a type of cell in the brain called an astrocyte, which is the most abundant cell in the brain. They support and protect the neurons (nerves) and help to pass messages between them. Astrocytes, therefore, are vital in processing information in the brain. There is nothing you could have done, or avoided doing, that would have prevented you from developing a brain tumour. As with most brain tumours, the cause is not known. Research into possible causes is focussing around our genes. 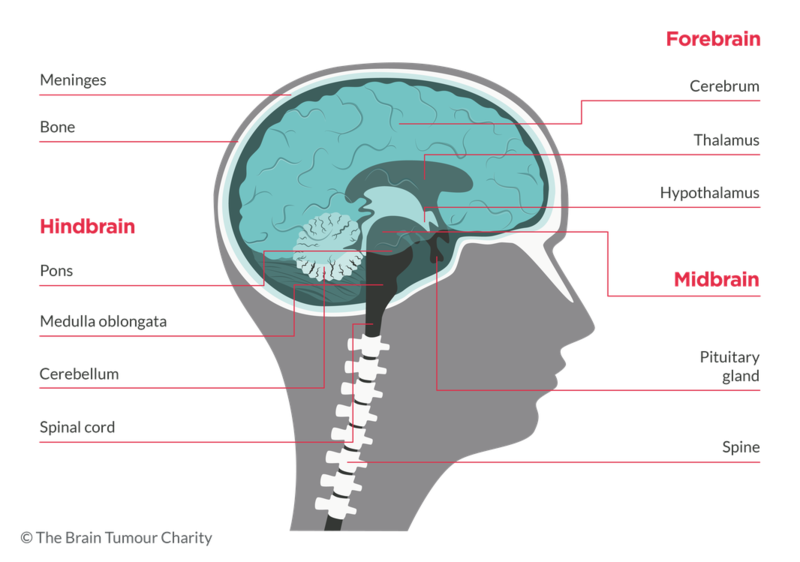 Read more about how brain tumours are formed. Brain tumours (or tumors as they are known internationally) are graded from 1 - 4, according to what they look like under the microscope and how they are likely to behave. This means how fast they grow and how likely they are to spread. Grade 1 astrocytomas are called 'pilocytic astrocytomas'. Pilocytic means the cells are elongated and hair like. They are slow growing, relatively contained and unlikely to spread to other parts of the brain. They are also unlikely to return after being surgically removed. The are most often found in children and young adults under the age of 20 and are equally common in males and females. They are very rare in adults over 50 years. They tend to grow in the cerebellum, which controls balance. They can also occur in the optic pathways, which are involved in sight. Pilocytic astrocytomas occur in around 10% of people who have 'neurofibromatosis type 1' (NF1). This is a genetic condition you are born with that causes tumours to grow along your nerves. The most common grade 2 astrocytoma is called a 'diffuse astrocytoma'. Diffuse means it does not have well-defined edges, which can make it more difficult to remove completely. They are slow-growing, but can sometimes return, following treatment, as a grade 3 astrocytoma. They occur most often in adults between the ages of 20 and 45. They are more common in males than females. A grade 3 astrocytoma is called and 'anaplastic astrocytoma'. Anaplastic means the cells divide rapidly and do not resemble normal cells in structure or function. They are fast-growing and often referred to as 'malignant' or cancerous. They often recur following treatment in a more advanced form i.e. grade 4 astrocytoma (glioblastoma). They are more common in adults between the ages of 30 and 70 and are more common in males. Grade 4 astrocytomas are usually called glioblastoma. You may hear them called glioblastoma multiforme, or GBM for short. Other brain tumours, which don't have astrocytoma in their name, are also actually astrocytomas as they grow from astrocytes. For example, some types of DIPG (Diffuse Intrinsic Pontine Glioma). Our fact sheet gives you an overview of astrocytomas in adults, how they are treated and answers some of the questions you may have about this type of tumour. Our clear print fact sheet gives you an overview of astrocytomas in adults, how they are treated and answers some of the questions you may have about this type of tumour.